Are you planning a graduation party this year? 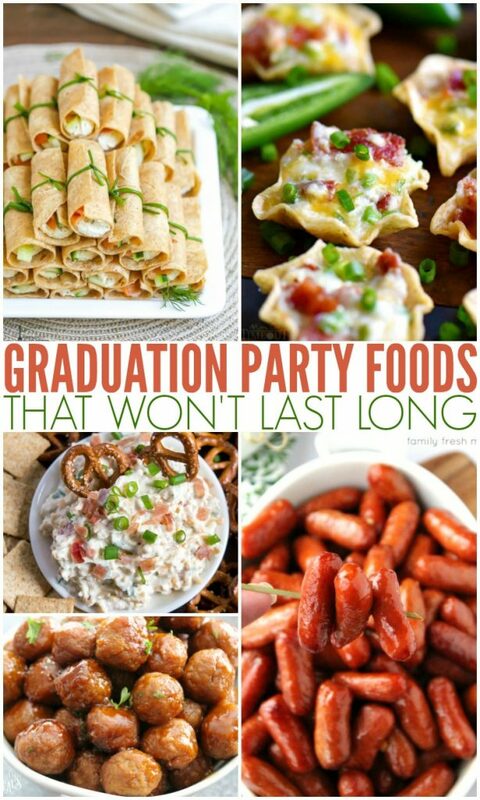 Here are some of our favorite Graduation Party Food Ideas that your guest will love! 1. 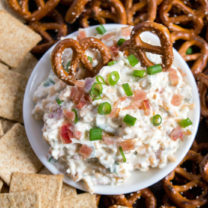 Everyone at your party will be addicted to my Loaded Crack Dip. 2. These Smoked Salmon & Cream Cheese Wraps look just like mini diplomas. 3. 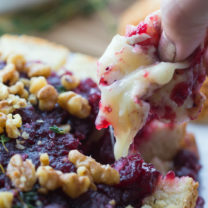 Bear Dip Stuffed Bread is a genius way to serve dip at your party, it’s baked right into the bread. 4. Homemade soft pretzels don’t have to be made into twists, they can be shaped into just about anything like these Soft Pretzel Graduation Caps. 5. You can whip these Buffalo Chicken Bites up in no time at all. 6. Everyone loves pizza, so it makes sense to serve these delicious Pizza Sliders up at your party. 7. These bite sized Mini Cupcake Graduation Caps are super easy to make. 8. The ultimate party food, these Grilled Chicken Wings are smothered in a homemade honey barbecue sauce. 9. Buffalo wings are messy, but they are also delicious. Honey Buffalo Meatballs have all the same flavors without the mess. 10. 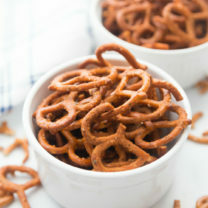 These Soft Pretzel Bites are made with only two basic ingredients and are done in under 30 minutes! 11. This Honey Garlic Little Smokies recipe is the last cocktail weenie recipe you will ever need. 12. You’ll need to make a triple batch of this Easy Pizza Dip to feed a party crowd. 13. These Sticky Garlic Chicken Bites are sweet, sticky , and just finger-licking amazing! 14. Garlic Roast Beef Pinwheels are the perfect party appetizer. They only take 5-10 minutes to make. 15. 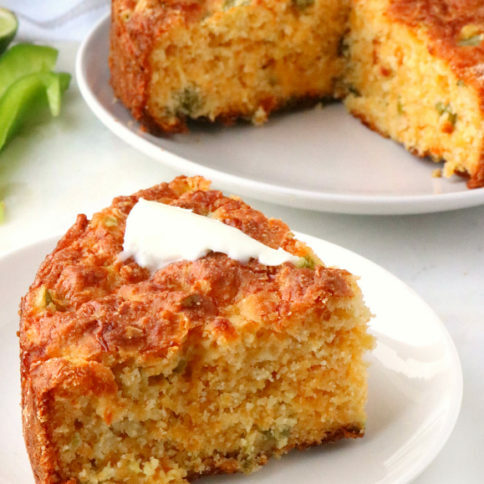 Easy peasy Jalapeño Popper Bites are sure to be the hit of your party! This extra delicious appetizer is creamy, cheesy, spicy, bite-sized and did I mention loaded with bacon? 16. These Homemade Egg Rolls are filled with pork and vegetables, all wrapped up and fried to crispy perfection. 17. Sweet Pepper Poppers are the perfect small bite appetizer. 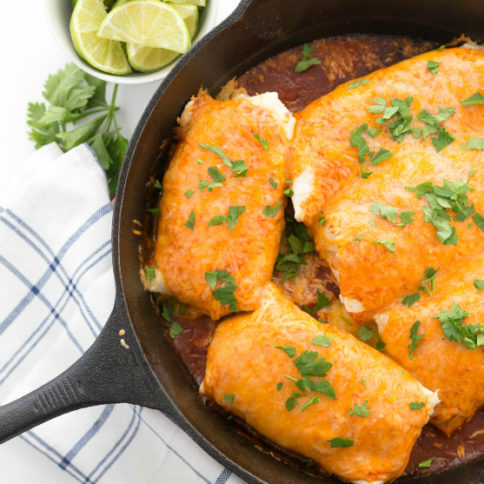 Only 7 ingredients and 30 Minutes. 18. Chip lovers will gobble down these Tortilla Chip-Crusted Baked Jalapeño Poppers. 19. Cheesy Bean Dip only takes 30 minutes from start to finish. Thank you for this! My son graduates in a few weeks and I’m sharing this in my newsletter today! I’m sure I am overlooking it… what are the things in the tortilla scoops shown in the picture (top right)?